Without a scoreboard and annoying little factors like needing to make shots to win, Butte High might have pert near painted a blue-ribbon entry to the girls’ basketball season Tuesday night. But, alas — intense hustle, sticky defense and courageous rebounding were displayed by the Bulldogs and Helena High still won the game, 43-29, in the Class AA non-conference season-opener held in the Butte Civic Center. 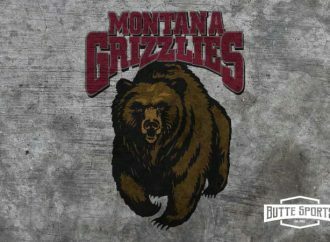 Senior guard Paige Aasved scored 11 points and 6-foot-2 senior Montana Lady Griz recruit Jamie Pickens tallied 10 to lead the Bengals. Pickens averaged 15 points a game last year. Butte High’s Haley Herron led a defense that made Pickens earn every chance at the basket, though she was a star on the boards with 17 rebounds to frustrate the height-challenged Bulldogs. Neither team caught fire in the shooting department. Helena High was 16-for-37 from the field and missed eight of 15 free throws. The Bengals were a good 40 percent from 3-point range. 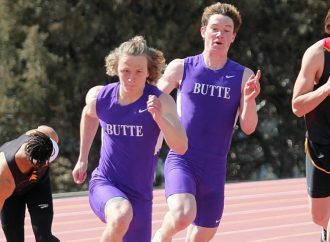 Butte High’s struggles included figures of 20 percent from the field, 42 percent from the foul line and 4-for-30 or 13 percent from the arc. Consider, though that the Bulldogs had fallen behind by 19 points and tried to shoot their way back into the game from long distance. They fired up 13 3-balls in the last quarter. Going outside was necessary with Pickens swatting and changing shots in the key. It was cold outside. Butte High’s only lead was 5-4 after MaKenna Carpenter drove for a hoop late in the first quarter. Pickens took a dish from Aasved for the go-ahead basket and then an Aasved 3-pointer put the Bengals’ lead at 9-5 through one quarter. Helena High scored the first nine points of the second quarter and took a 23-11 command into the locker room at halftime The 19-point spread occurred in the third quarter when another Aasved trey opened the score to 34-15. 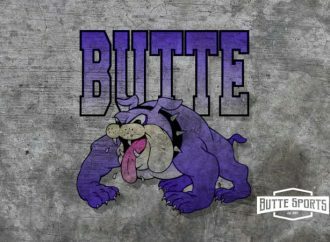 Butte High responded and began clicking a bit better and Ally Cleverly canned a 3-point shot as the Bulldogs closed the margin to 37-23 at the end of the third frame. Aspen Lovshin connected from behind the arc at the start of the last quarter, but the 11-point gap, 37-26, was as close as Butte High could get to the Bengals the rest of the way. Cleverly and Lovshin finished with 10 points. Lovshin came off the bench for her total, though it wasn’t planned that way. Cook said he accidentally designated another player, MacKenzie Tutty, as a starter in the scorebook before the game and so Lovshin had to wait on the sideline until a play stoppage to check into the action. Cook quickly complied by calling a fast timeout after a couple possession changes following tip-off. Justise Birkenbuel scored four points for the Bulldogs, Carpenter and Herron had two apiece, and Brittney Tierney tallied one. Herron and Tierney combined for 15 rebounds. Tutty, Kira Mortensen, Grace McGrath and Trisha Ericson also played. The 6-2 Mortensen, recovering from a concussion suffered in volleyball season, was in the game for only a few minutes. McKayla Kloker scored nine points to back Aasved and Pickens in the Helena High point totals. 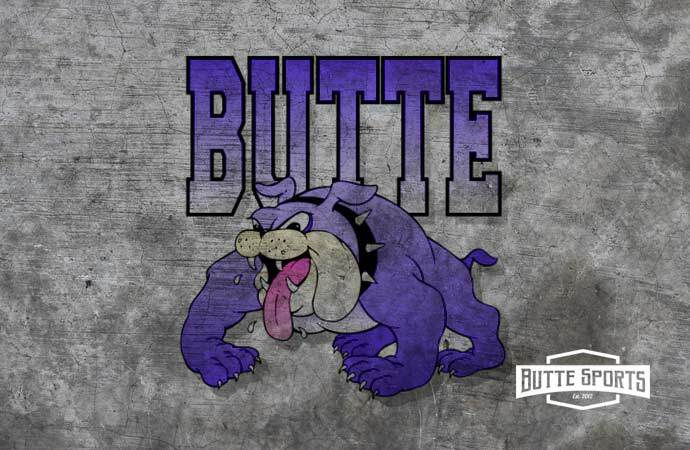 Butte High will next play next Tuesday at Missoula Big Sky in another non-conference game. HELENA HIGH (1-0) — Paige Aasved 4-7 0-0 11, Vanessa Walsh 0-2 4-4 4, McKayla Kloker 3-4 2-3 9, Emily Feller 2-3 0-0 4, Jamie Pickens 5-15 0-4 10, Abby Marcille 1-2 0-0 2, Payton Aasved 1-2 1-2 3, Riley Thennis 0-2 0-2 0, McKenzie Plummer 0-0 0-0 0. Totals 16-37 7-15 43. 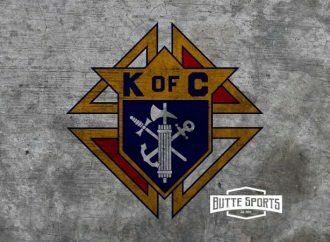 BUTTE HIGH (0-1) — MacKenzie Tutty 0-0 0-0 0, MaKenna Carpenter 1-9 0-1 2, Haley Herron 1-4 0-0 2, Ally Cleverly 4-9 0-2 10, Brittney Tierney 0-9 1-2 1, Aspen Lovshin 2-13 4-7 10, Kira Mortensen 0-0 0-0 0, Grace McGrath 0-1 0-0 0, Trisha Ericson 0-0 0-0 0, Justise Birkenbuel 2-4 0-0 4. Totals 10-49 5-12 20. 3-point goals — Helena 4-10 (Paige Aasved 3-3, Walsh 0-1, Kloker 1-2, Pickens 0-2, Payton Aasved 0-1, Thennis 0-1), Butte 4-30 (Carpenter 0-4, Herron 0-1, Cleverly 2-6, Tierney 0-8, Lovshin 2-8, McGrath 0-1, Birkenbuel 0-2). Fouled out — none. Total fouls — Helena 15, Butte 11. Technical fouls — none. Rebounds — Helena 35 (Pickens 17), Butte 30 (Herron 8, Tierney 7). Blocks — Helena 2 (Pickens 2), Butte 0. Assists — Helena 7 (Paige Aasved 3), Butte 2 (Cleverly 1, Tierney 1). Steals — Helena 4 (Thennis 2), Butte 6 (Lovshin 2, Tierney 2). Turnovers — Helena 14, Butte 9.